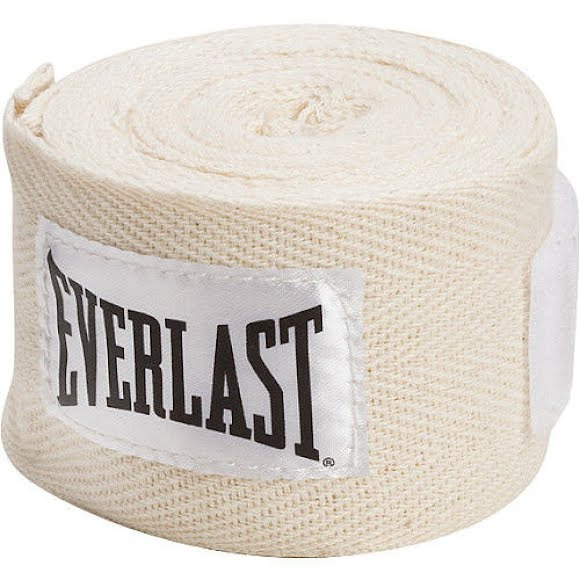 Everlast 120" of polyester-cotton material provides breathable comfort and safety while training. A thumb strap ensures ease of use with a hook-and-loop closure for a secure fit. It is recommended that hand wraps are always used under boxing or training gloves for ultimate wrist and knuckle protection.